Pltn./Sgt. Richard M. Johnson, son of Mrs. Nora Lee Johnson, attended Snyder and Frederick High Schools. 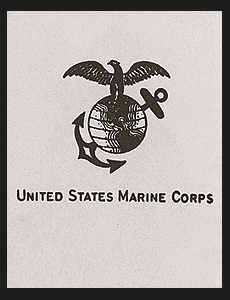 Entered Marines in Oct. 1938, trained in San Diego, Cal. ; served in the Philippines, China, and Japan; was taken prisoner in Bataan; was wounded in the Philippines in May 1942; is now in U.S. Naval Hospital, Norman, Okla. Awarded the Purple Heart, Pres. Unit Citation, Good Conduct Medal, Asiatic Pacific Ribbon with two Battle Stars. Added Note: If anyone has a photograph of this young Marine, please contact me.